In 1865, Matthew Vassar and President John H. Raymond selected nine professors to serve as Vassar College's first faculty. Each professor became the head of one of nine departments, which ranged from Philosophy to Physiology and Hygiene. The following list details each of the nine original professors and their respective accomplishments. 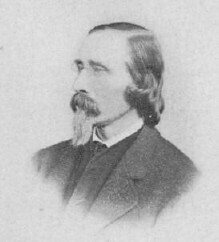 William L. Knapp, professor of Ancient and Modern Languages, was born in New York in 1835. 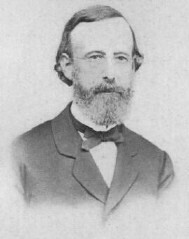 After working at Colgate University, Knapp came to Vassar, where he taught Latin and French. Although he was one of the youngest members of the first faculty, Knapp always gave "an impression of responsibility and ability." Cornelia Raymond described him as a "brilliant linguist" with a "delightful personality." He left Vassar after only two years, however, and moved to Europe, where he became Knight Commander of the Order of Isabel La Catolion of Spain in 1877. He later served as professor of Modern Languages at both Yale University and the University of Chicago. He died in 1903. Sanborn Tenney, professor of Natural History, was born in New Hampshire in 1827. 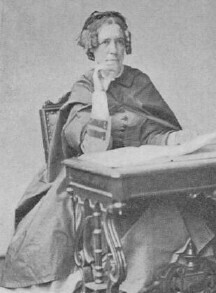 After graduating from Amherst College, Tenney began teaching at Vassar in 1865 and remained there only three years before transferring to Williams College. (5) He wrote several textbooks on Geography and Natural History, including A Manual of Zoology, which was published during his time at Vassar. He died suddenly in 1877, while preparing for an "exploring expedition" to Colorado. One destination was Burlington, Iowa, and the other was Denver, Colorado. While in Colorado, Mitchell visited then ex-charter faculty member Alida Avery, a Denver resident. The men received $2,500 a year without the cost of board, while Dr. Avery received $1,000 a year plus board, and Mitchell received only $800 a year and an apartment in the Observatory. 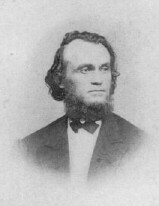 In 1870, Mitchell and Avery wrote this brief note to President Raymond: "We desire to call your attention to the fact, that, after nearly five years of what we believe to be faithful working for the good of the College, our pay is still far below that which has been offered at entrance, to the other professors, even when they have been wholly inexperienced. We respectfully ask that our salaries may be made equal to those of the other professors." Maria Mitchell: A Life in Journals and Letters. Ed. Henry Albers. New York: College Avenue Press, 2001. p.200. In a February 1871 letter, Maria Mitchell begged Raymond to condense his coming sermon, saying, "I want to hear you preach tomorrow, and I also want to see the moon pass over Aldebaran. [Pencil sketch of the moon passing over a star] Can’t you let me do both? … why need you shew [sic] us all sides of the subject? The moon never turns to us other than the one side we see, and did you ever know a finer moon? … I wouldn’t ask such a favor of you, knowing as I do, what a difficult thing it is for you to pause, when you are once started…"
Although Tenney remained at Vassar for only a short while, he had a great effect on the students. In fact, several students went so far as to name their children after him. Cornelia Raymond writes of Van Ingen: "…of all those early professors I can safely say that none came closer to the students or was more loved." (from her "Some Faculty of Earliest Vassar." Vassar Quarterly. May, 1935. Van Ingen would make fun of a certain bow or hat a girl chose to wear to make the point that the "simple is more beautiful than the ornate [and]… the function of art is to reproduce the beautiful." Obituary. Haight, Elizabeth Hazleton. Daily Eagle. 1898. Plum, Dorothy & Dowell, George. The Magnificent Enterprise. Poughkeepsie: Vassar College, 1961. Alida C. Avery O’ Brian, John. "Death of Dr. Alida C. Avery." The Sherburne News. Vassar College Special Collections Biographical file. Henry B. Buckham Buckham, Henry. "Report of the Professor of Rhetoric and Letters" for first college year ending June 27, 1866." Charles S. Farrar Letter from Caroline E. Slade. February 11, 1866. Vassar Special Collections. Letter from Mary Coe Thompson. November 18, 1865. Vassar Special Collections. William L. Knapp Norris, Mary Harriott. The Golden Age of Vassar. Poughkeepsie: Vassar College, 1915. p. 44-48. Miscellany. Letter from Cornelia Raymond to Seronde. March 22, 1929. Biographical File, Special Collections. Maria Mitchell Vassar Alumnae Monthly. June, 1911. p. 128. Plum & Dowell. p. 9-10. Nantucket Maria Mitchell Association Chronological Record. Special Collections Box 14. Obituary. Tribune, August 16, 1878. John Raymond" Daniels, Elizabeth A. "John Raymond." American National Biography. Ed. Garraty. Oxford University Press, 1999. vol.18. "Miss Cornelia Raymond Recalls When Her Father Was Santa Claus at Vassar College Festivities." Sunday Courier. Sanborn Tenney Obituary. Leslie’s Illustrated Newspaper. Dec. 1, 1877. Vol. 45. p. 211. Letter from Plum to Parkhurst. April 13, 1962. Letter from Plum to Couch, Jr. May 20, 1963. Scrapbook lent to Vassar College Special Collections by A.L. DeVries. 1953. Edward Wiebé Forbes, Elliott. "A History of Music at Harvard." Harvard University, 1988. p.16. Norris, 132, 136, 134. Letter from William Wiebé, June 2, 1929.